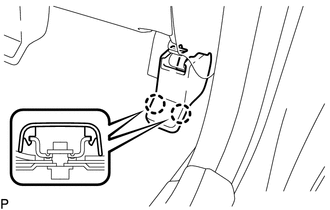 (a) Lift up the seat track adjusting handle and move the front seat assembly to the foremost position. 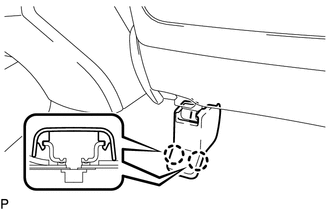 (a) Remove the 2 bolts on rear side of the front seat assembly. 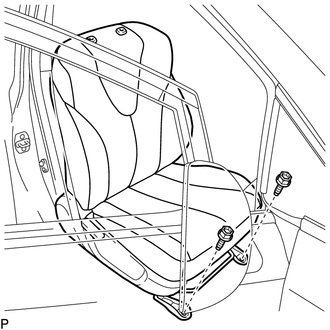 (b) Lift up the seat track adjusting handle and move the front seat assembly to the rearmost position. (c) Remove the 2 bolts on front side of the front seat assembly. (d) Lift up the seat track adjusting handle and move the front seat assembly to the center position. 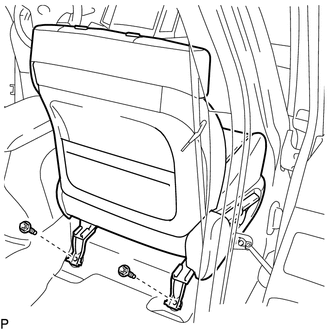 Also, operate the reclining adjuster release handle and move the front seatback assembly to the upright position. (e) Disconnect each connector under the front seat assembly. (f) Remove the front seat assembly.